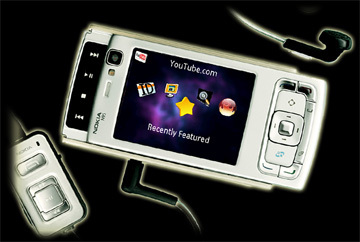 MobiTubia is a free S60 mobile application to view and download FLV files on your mobile phones. It can view online FLV files via URL, play downloaded flv files on mobile and can download FLV from YouTube on your mobile phones. MobiTubia also supports “Recently Featured” and “Popular Clips” functions of YouTube. Apart from this, you can view video by YouTube ID, search videos and save them on your phone. It has a great user interface and well designed menus. Overall, this is a great piece of freeware and does its job well.